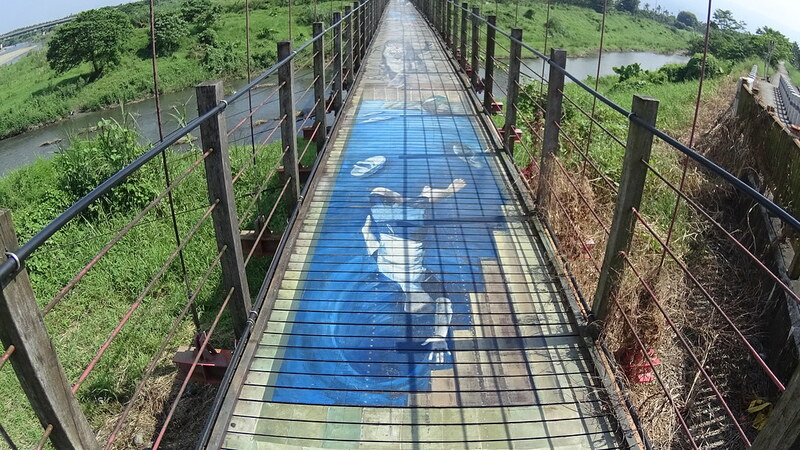 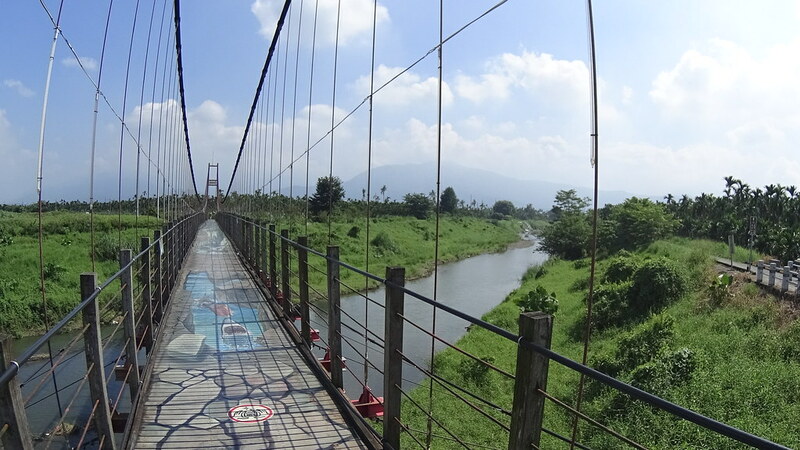 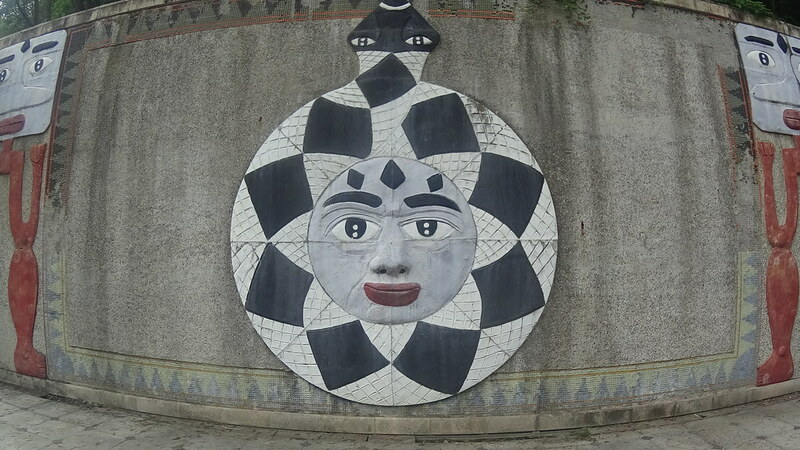 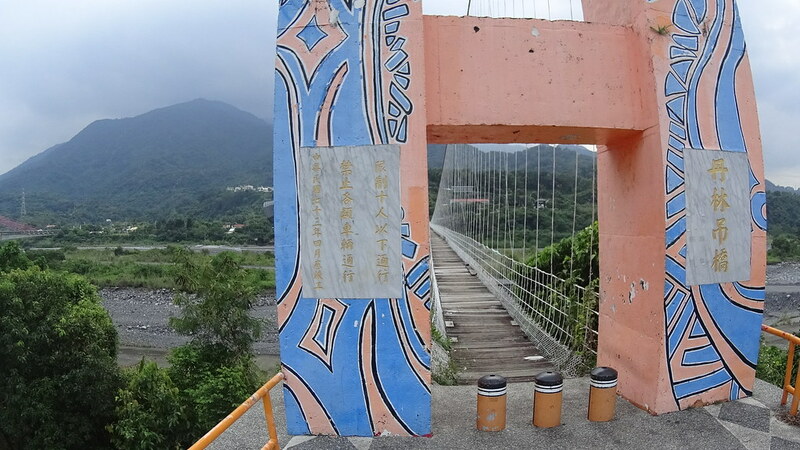 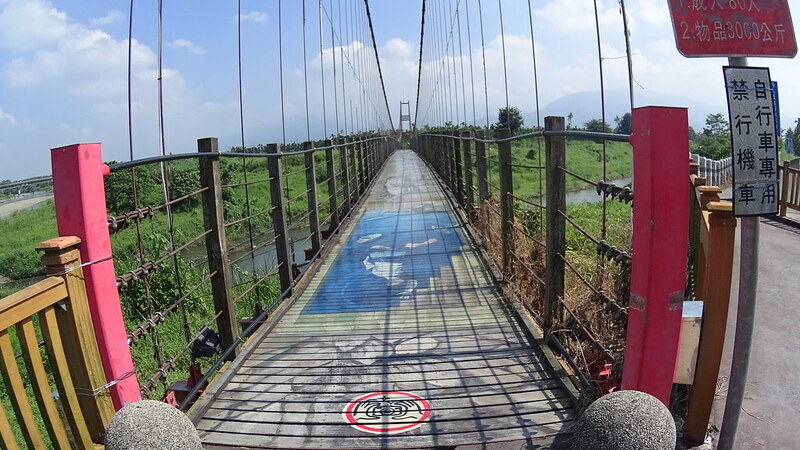 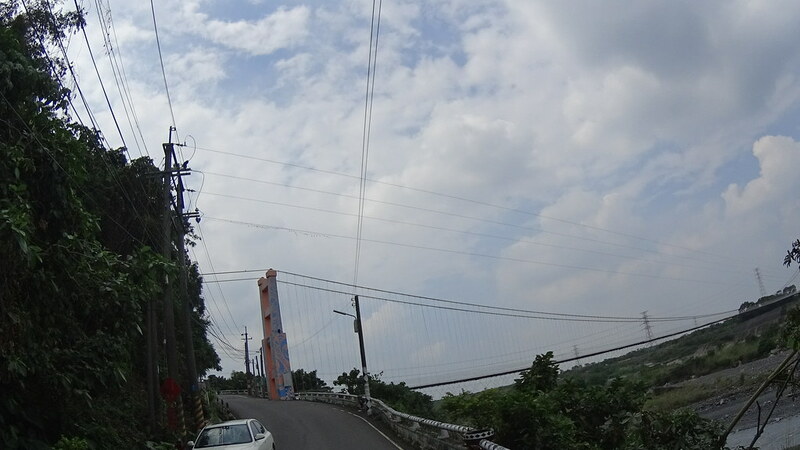 As our South PingDong Ride left WanLuan main town, not far away was a cool suspension bridge with floor art. 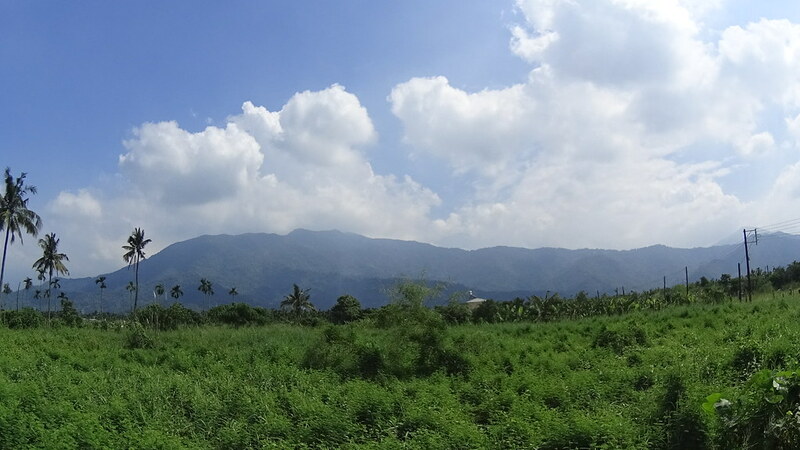 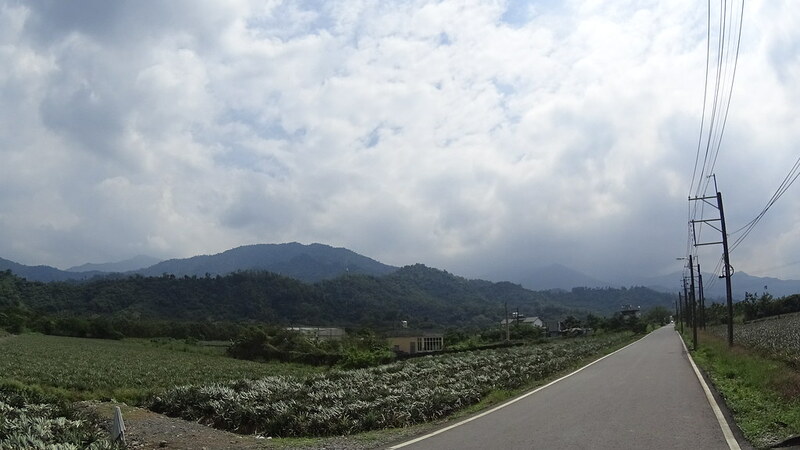 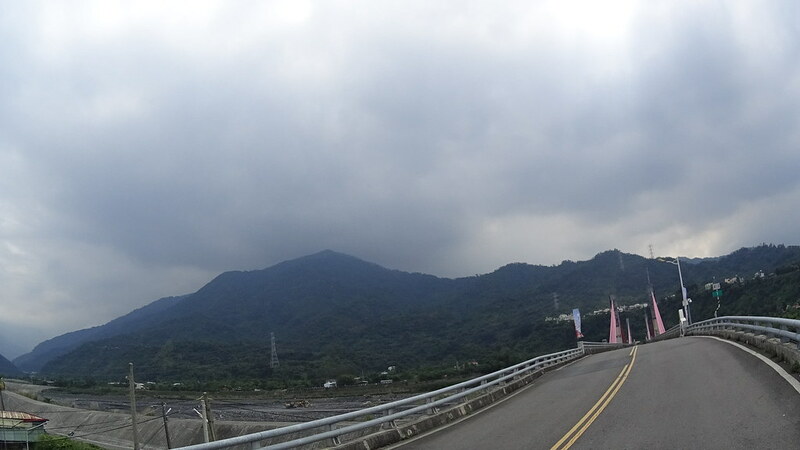 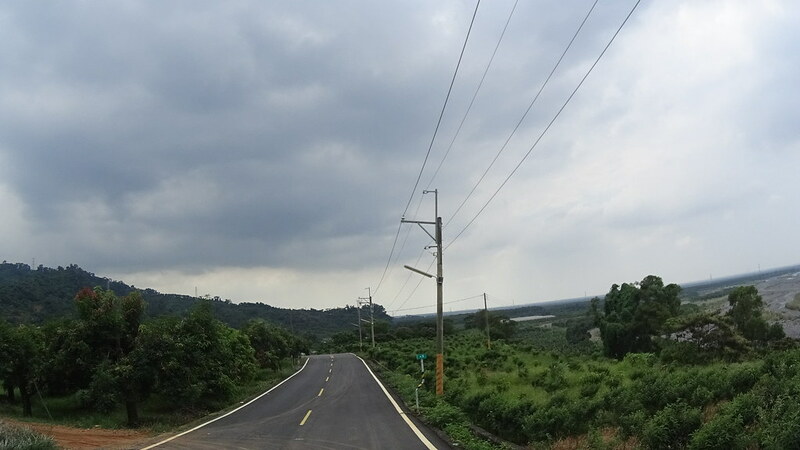 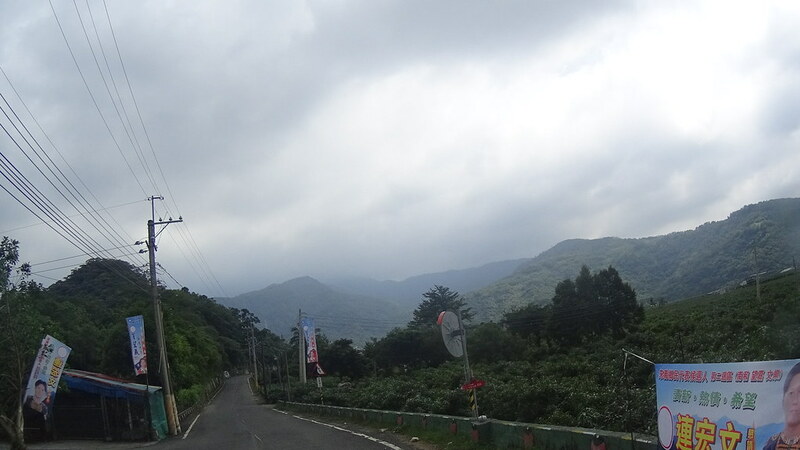 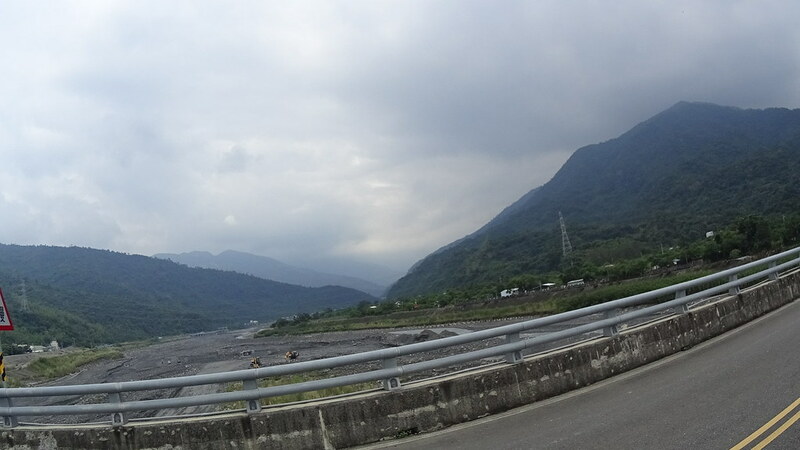 As we continued riding east, PingDong’s magnificent mountains came into sight. 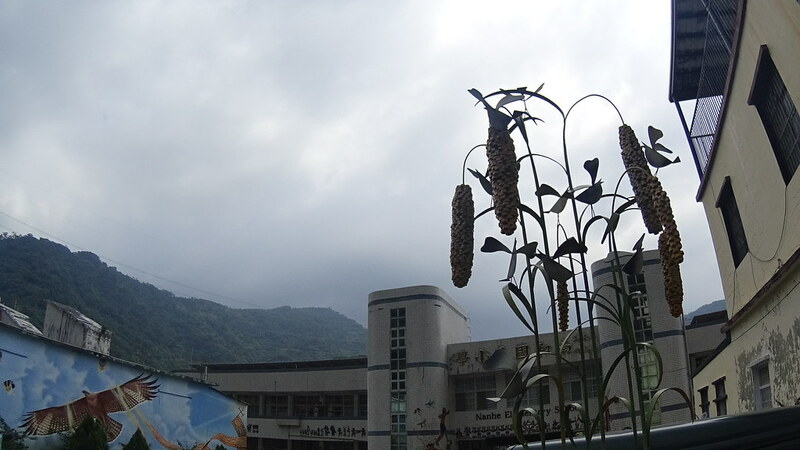 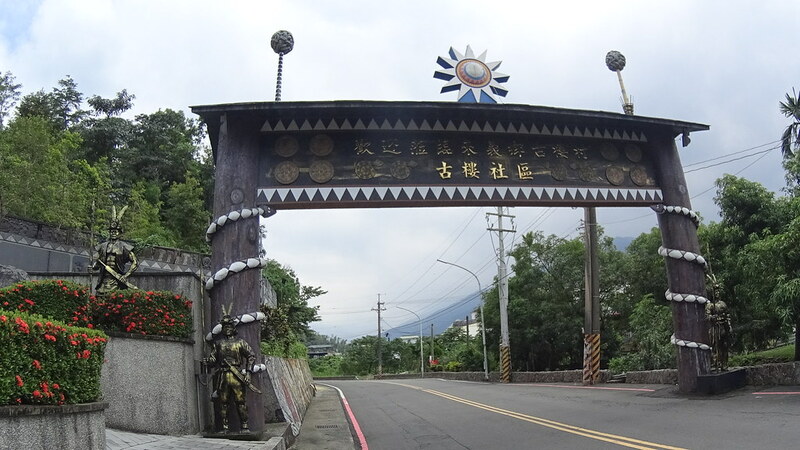 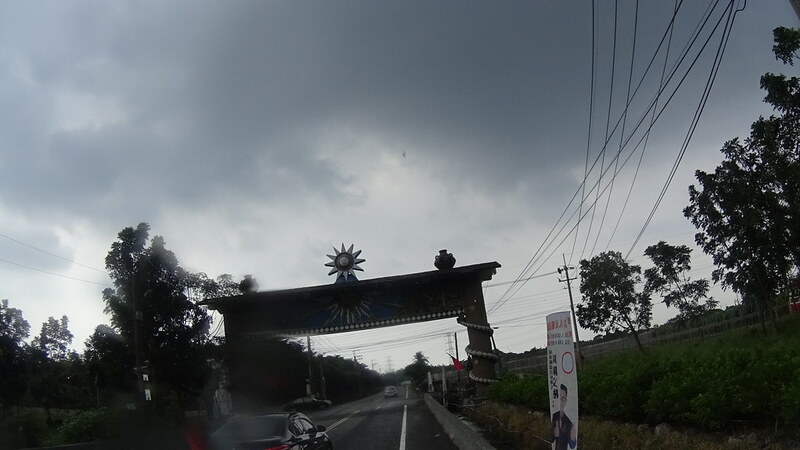 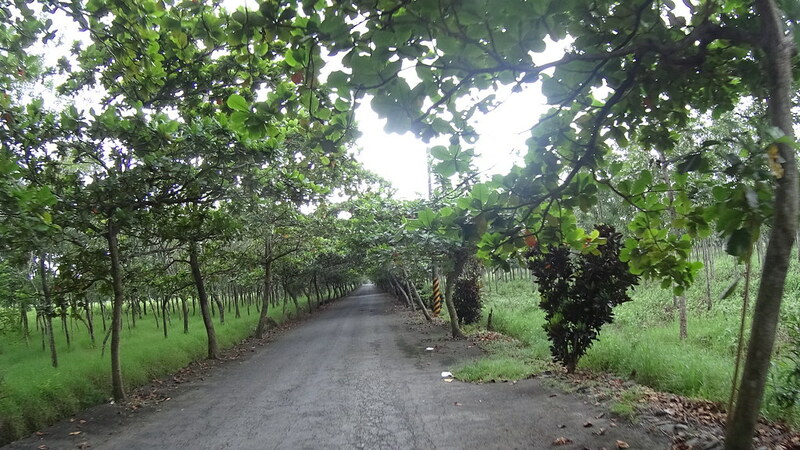 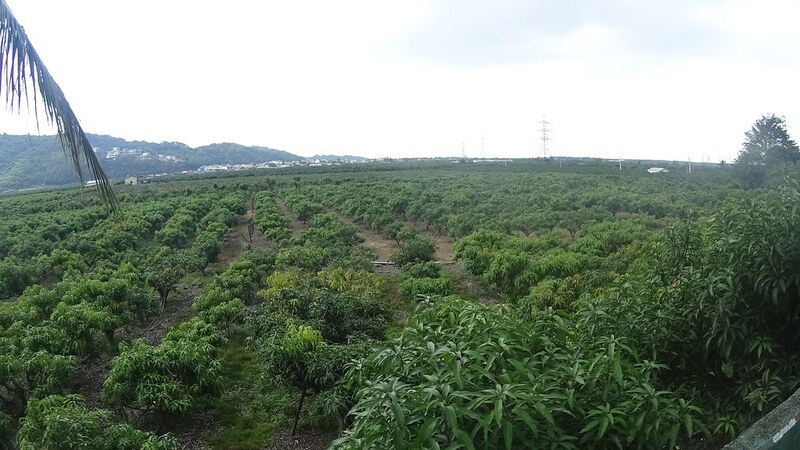 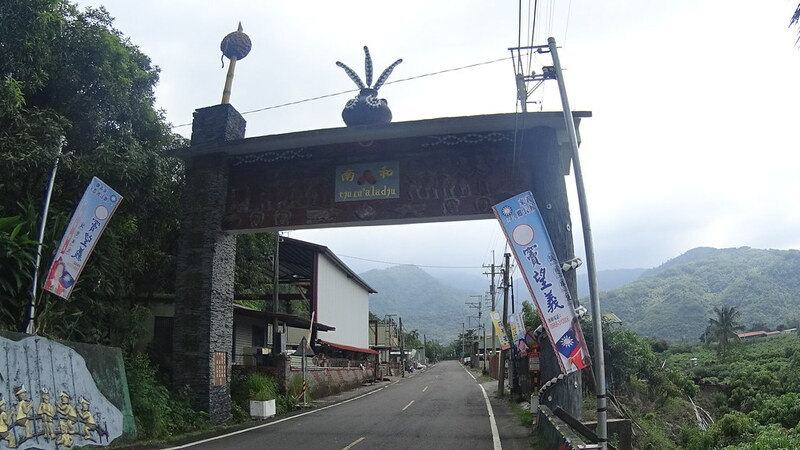 Near the mountain there was a nice aboriginal town called WanJin. 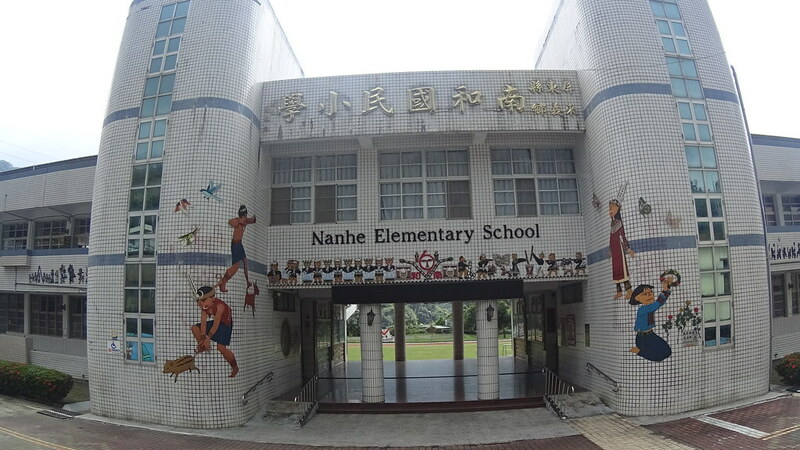 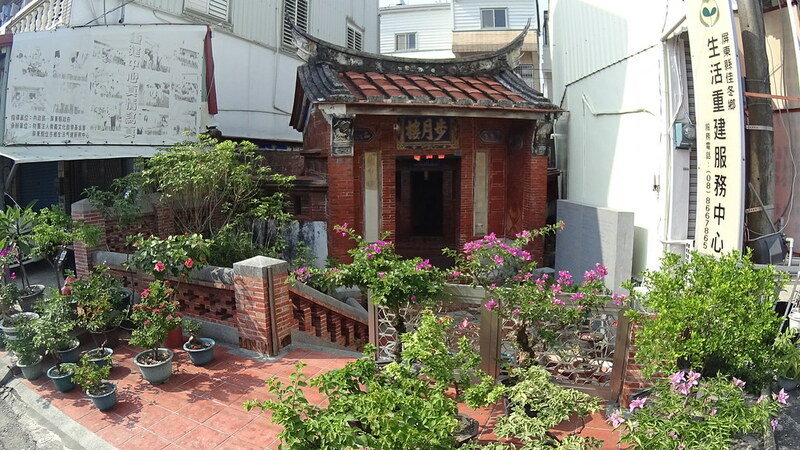 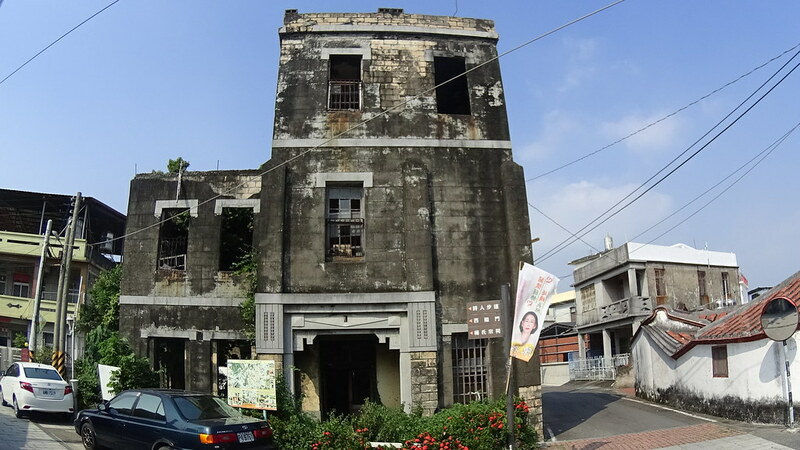 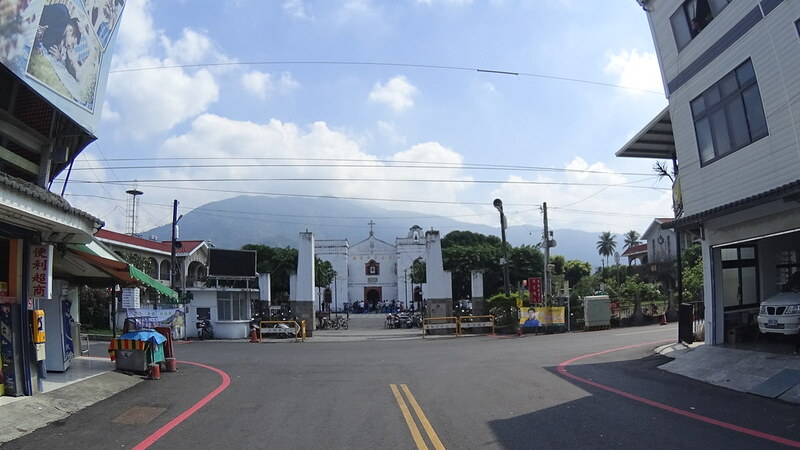 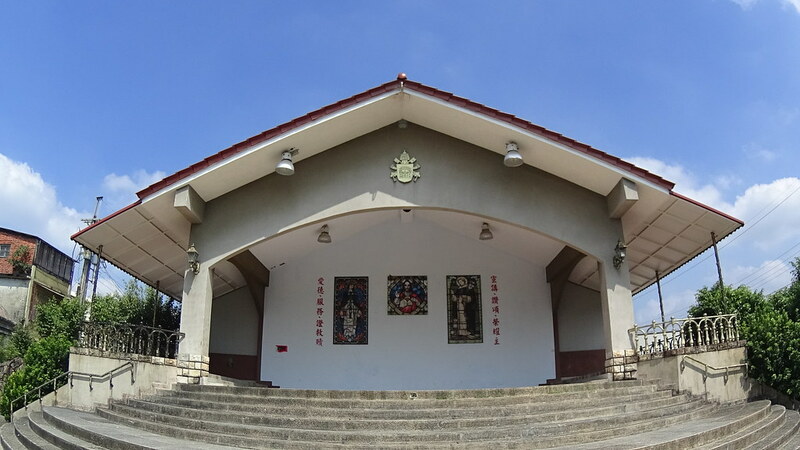 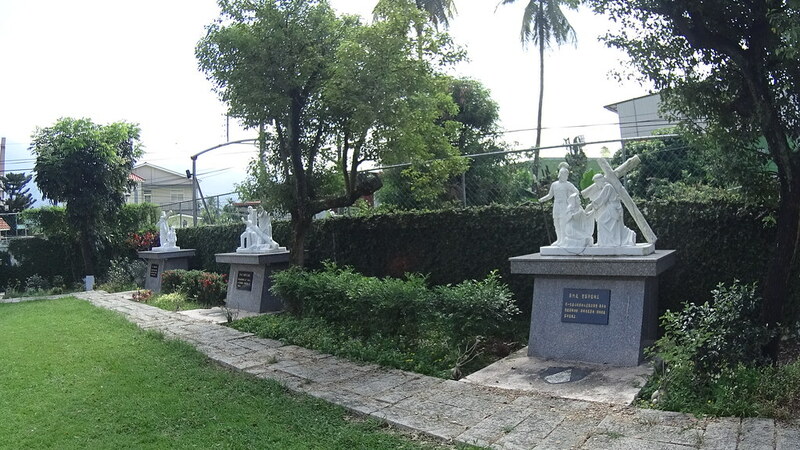 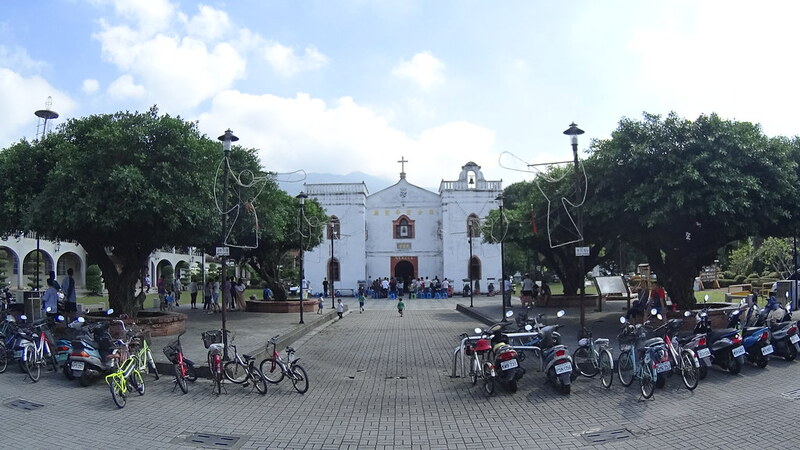 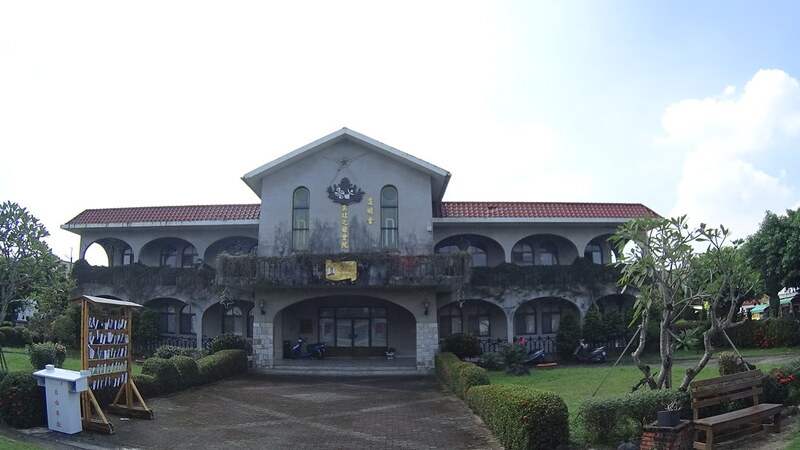 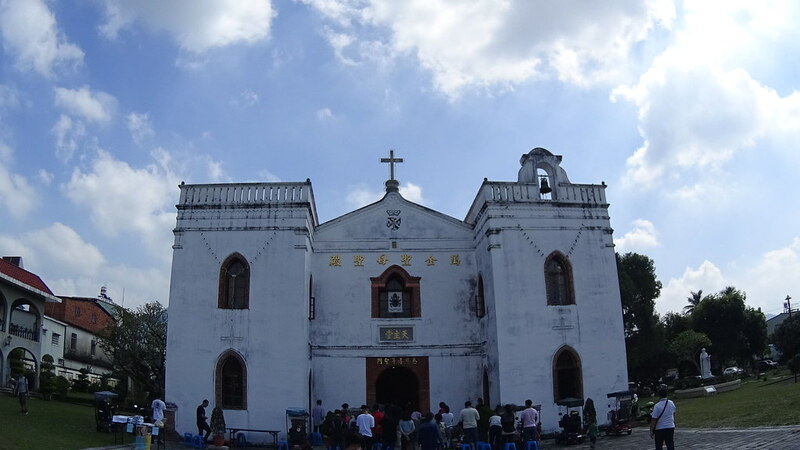 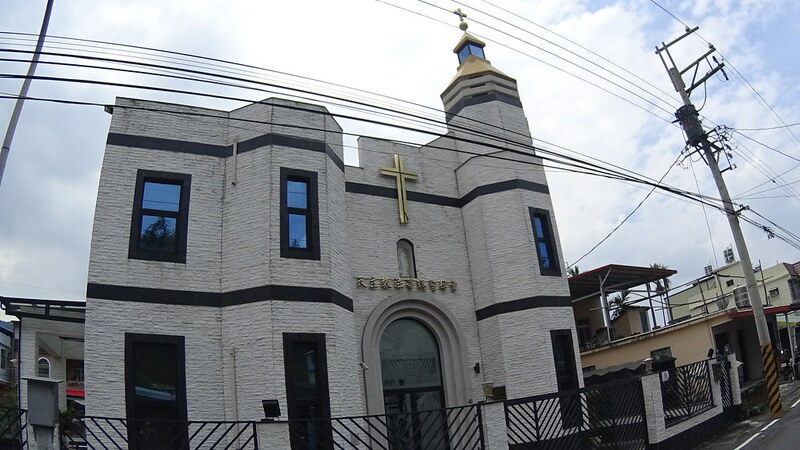 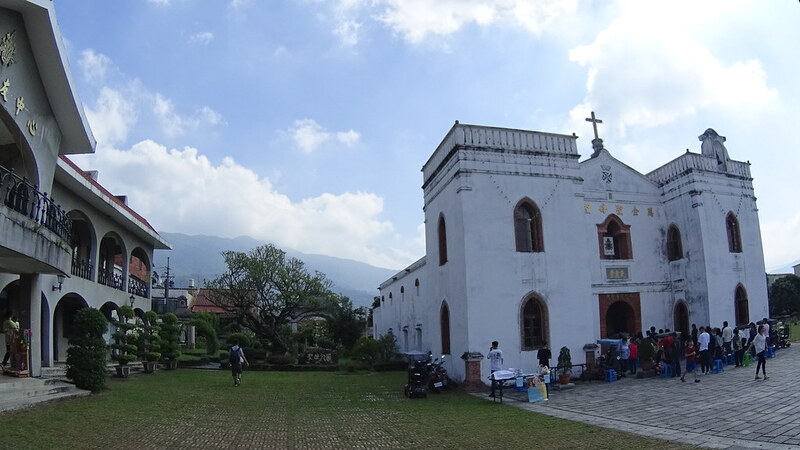 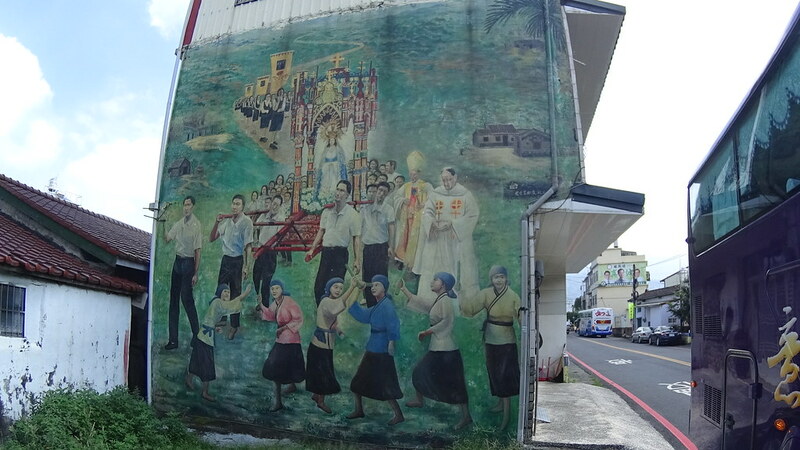 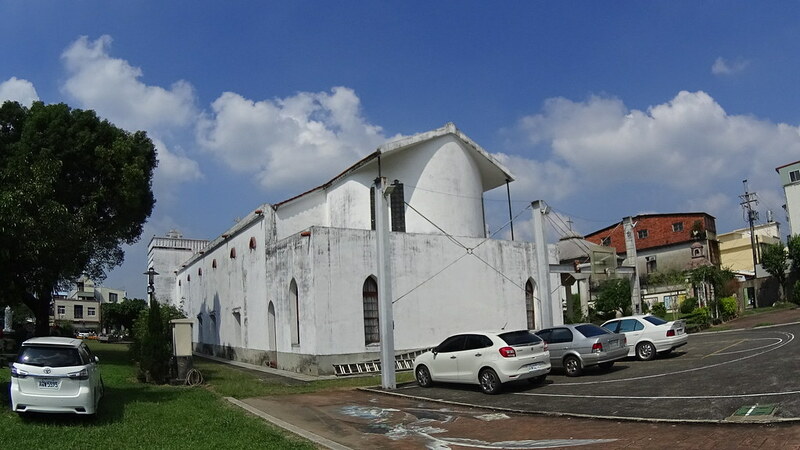 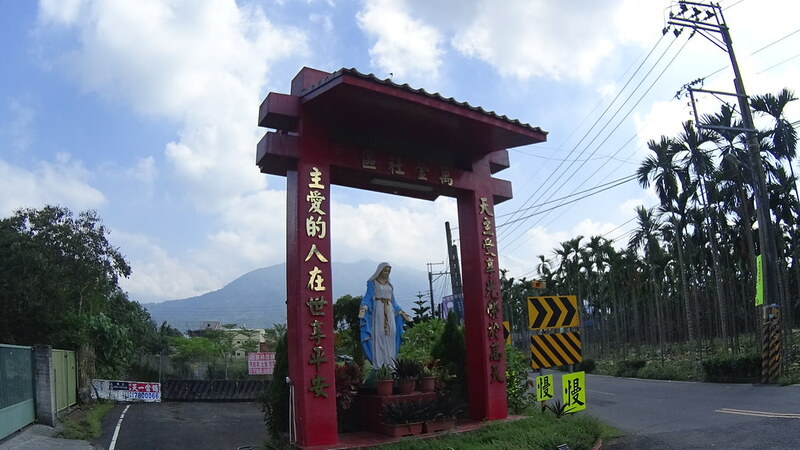 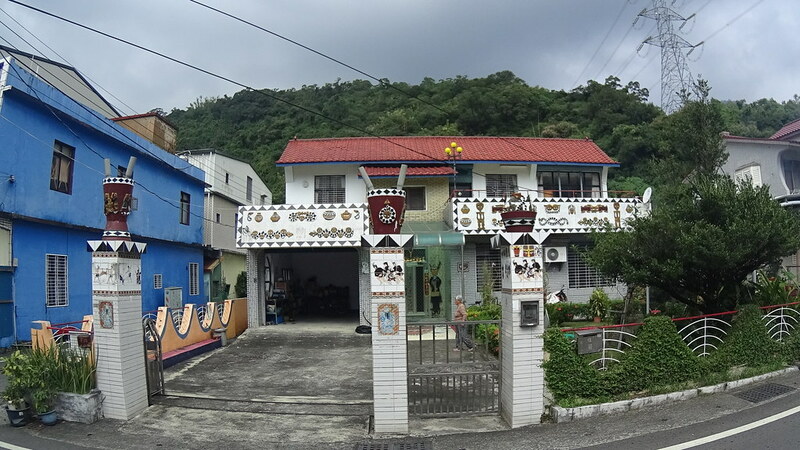 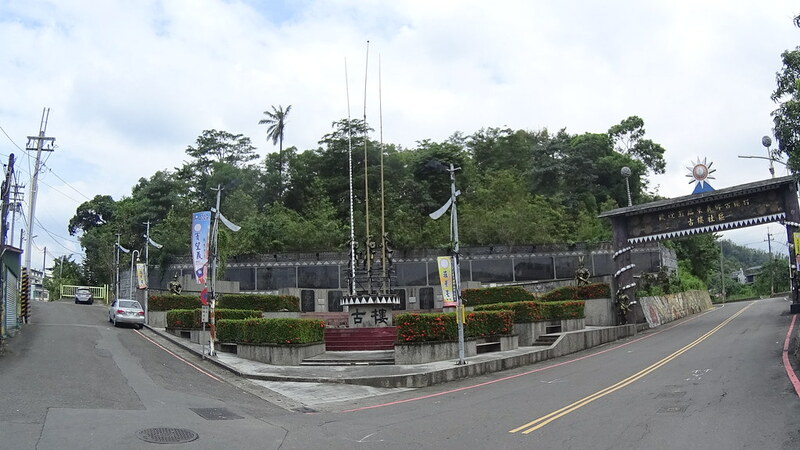 It had a beautiful old white church called “WanJin Catholic Church (萬金聖母院)”, and was the oldest church building in Taiwan. 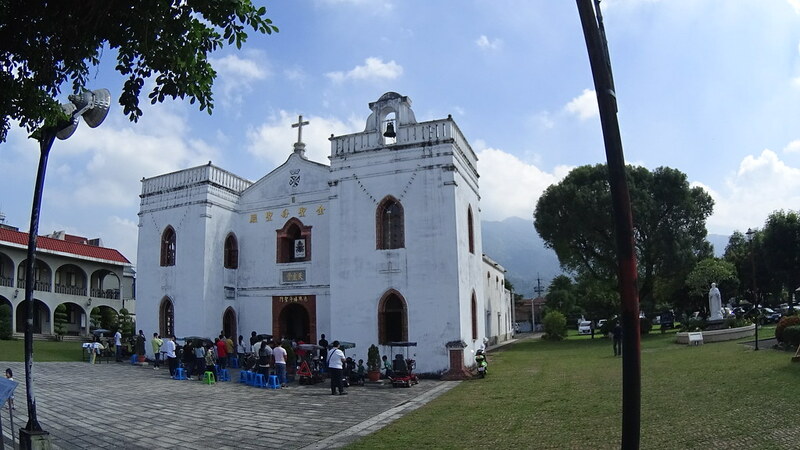 Beautiful white church with mountain background. 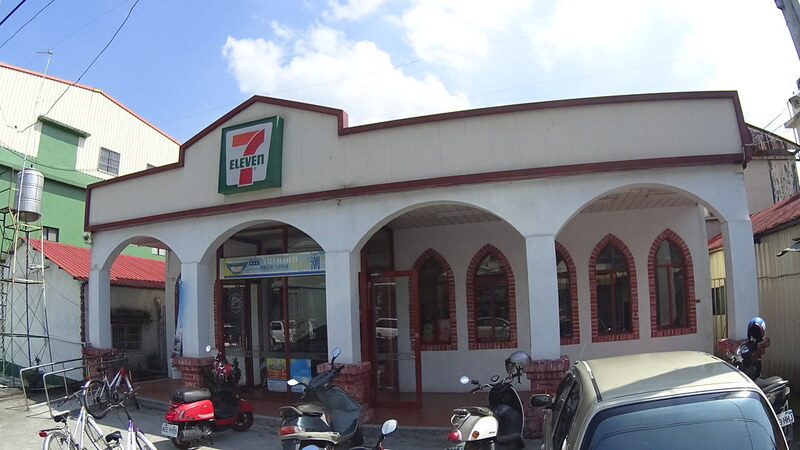 Here the 7-11 also matched the church style. 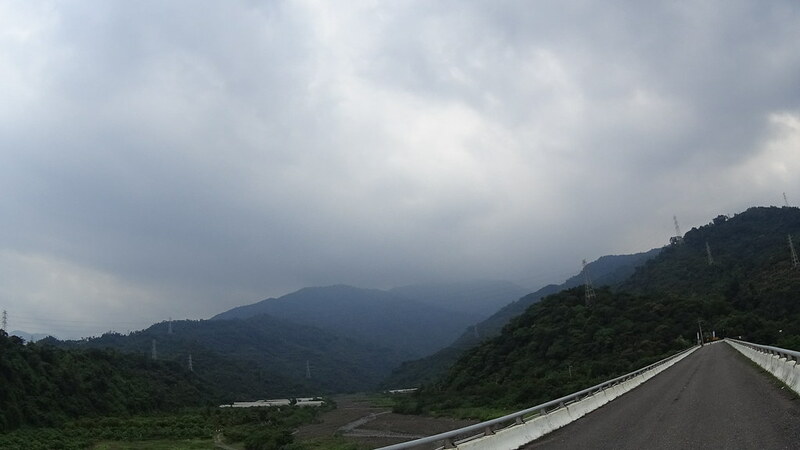 From WanJin our South PingDong Ride went south, passing many aboriginal villages. 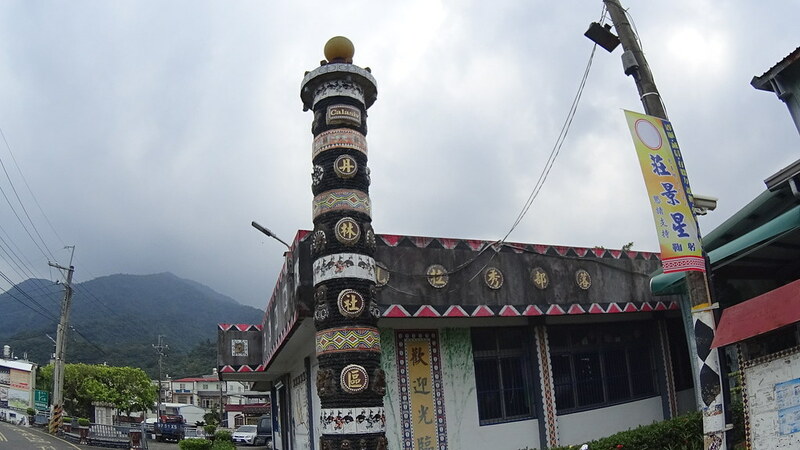 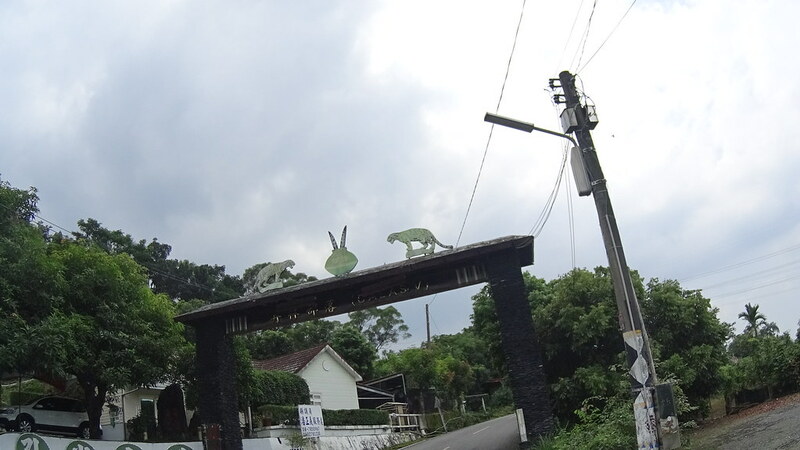 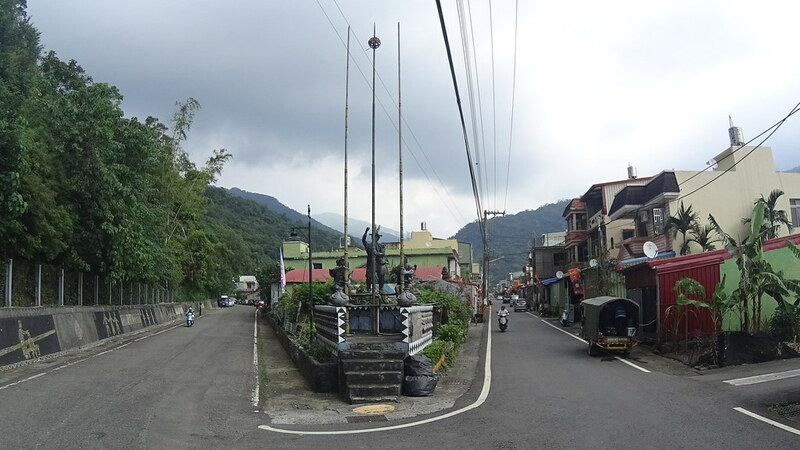 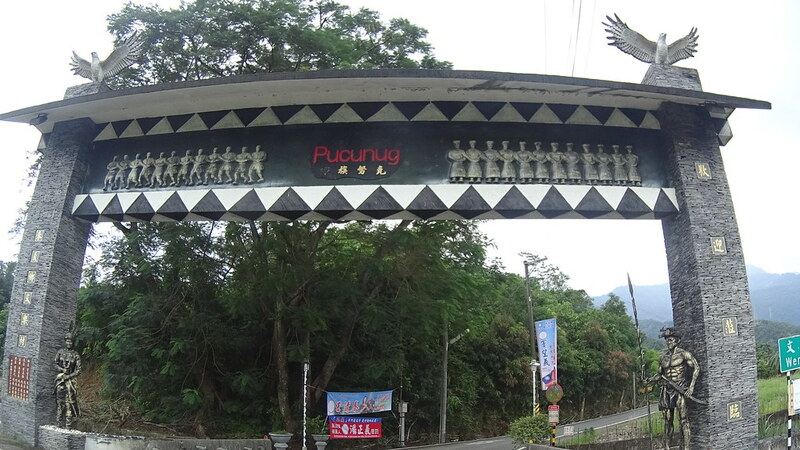 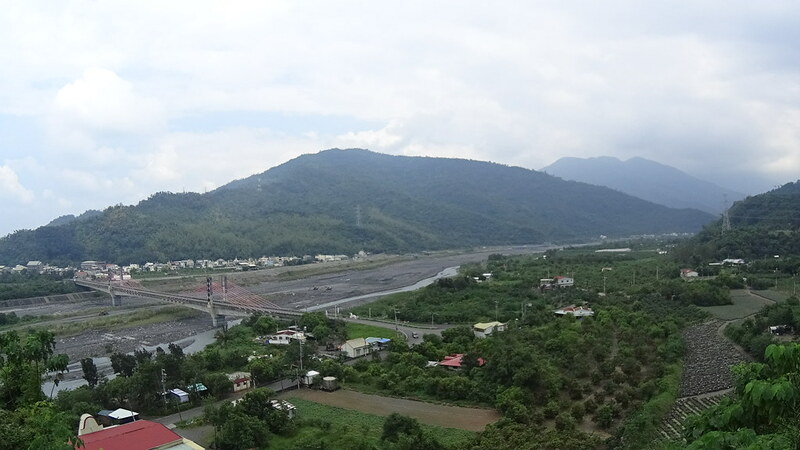 GuLo (古樓) village, which was mostly Paiwan People(排灣族) . 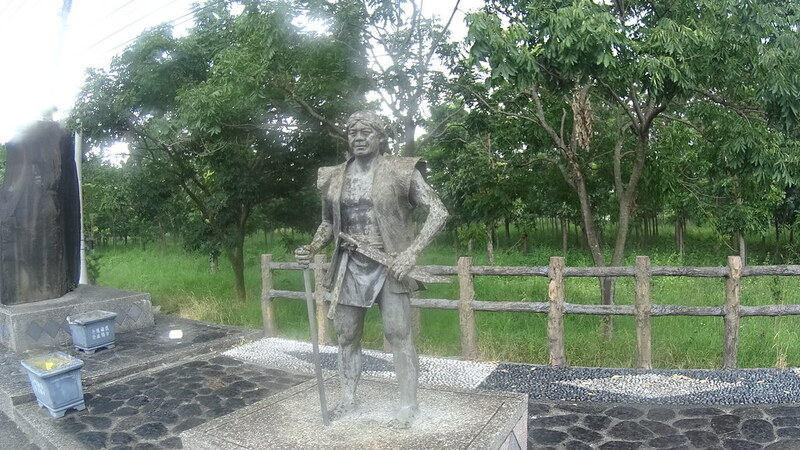 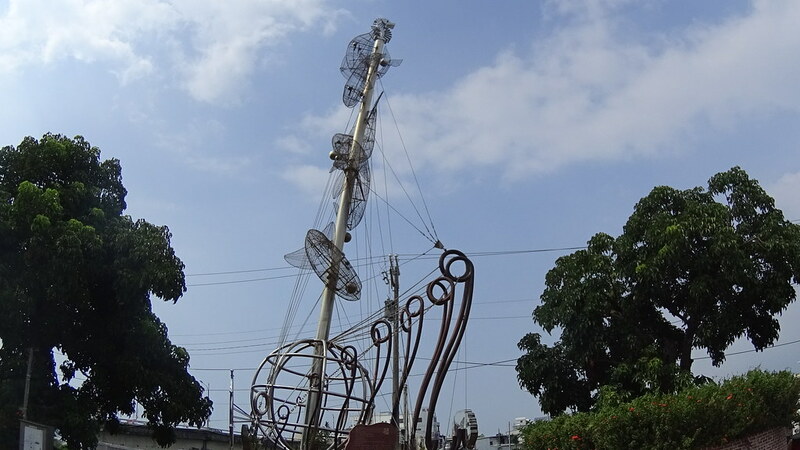 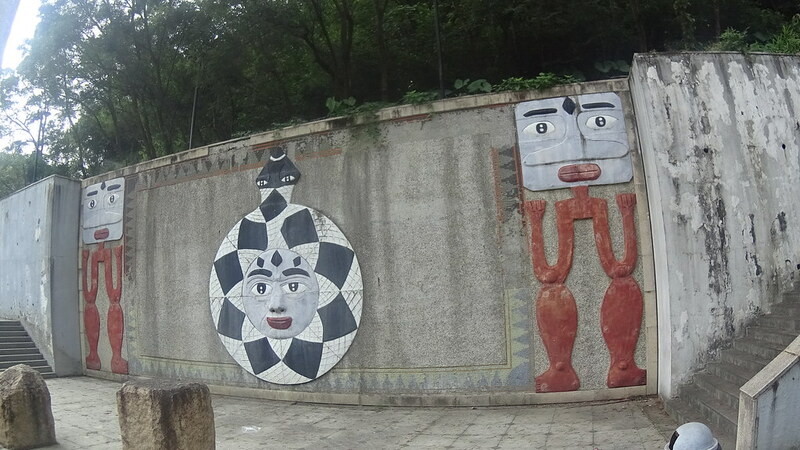 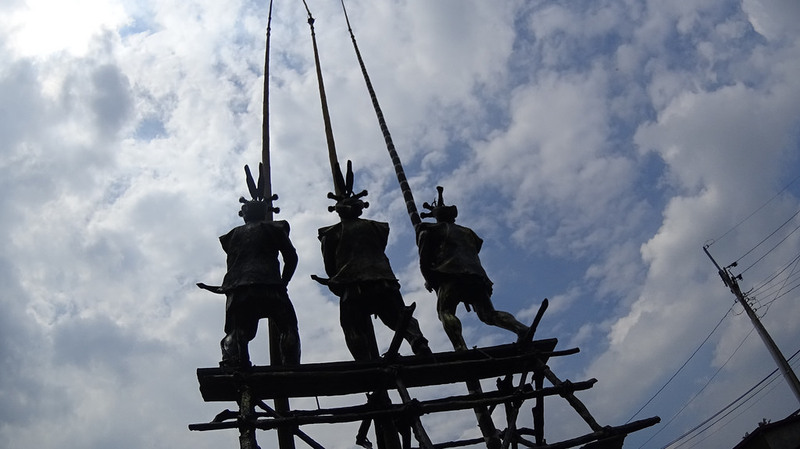 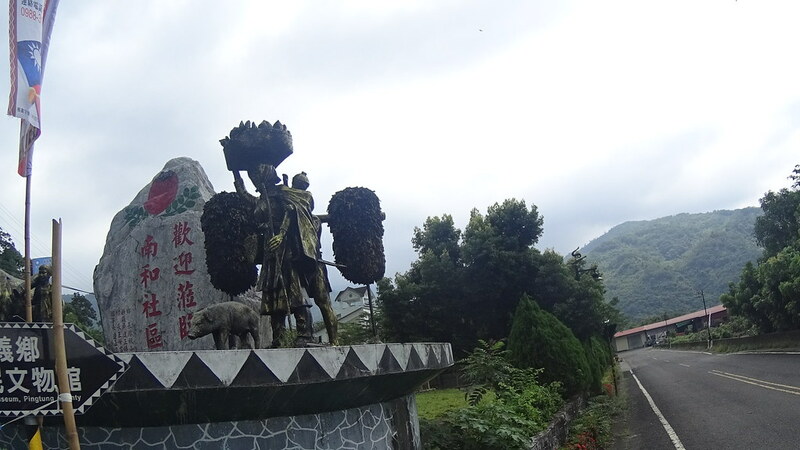 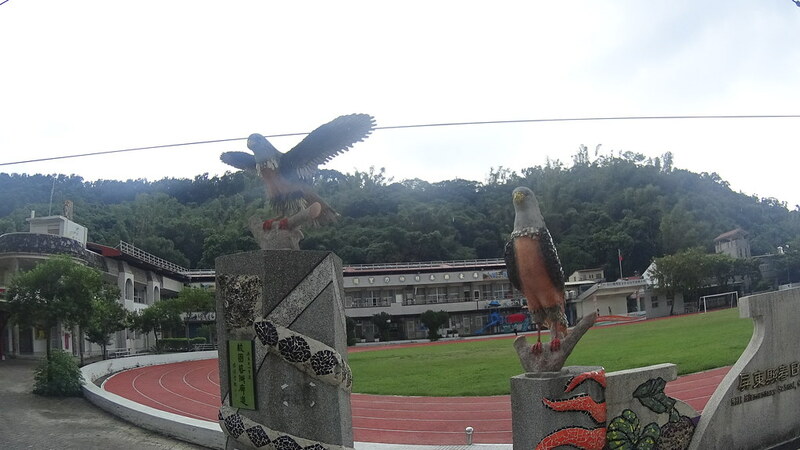 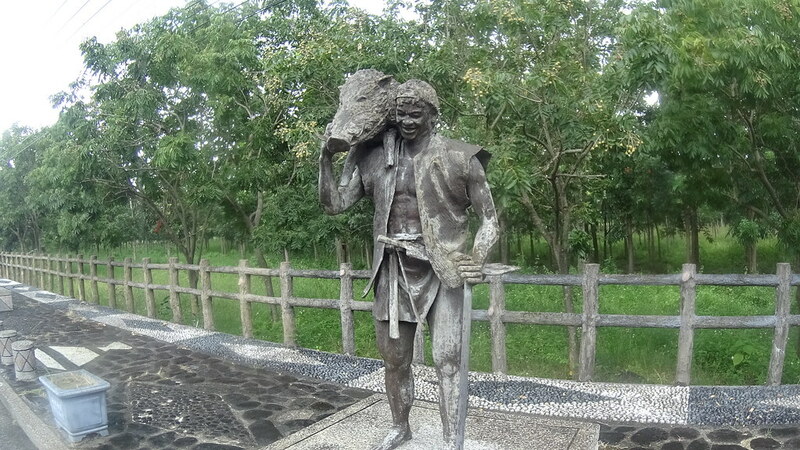 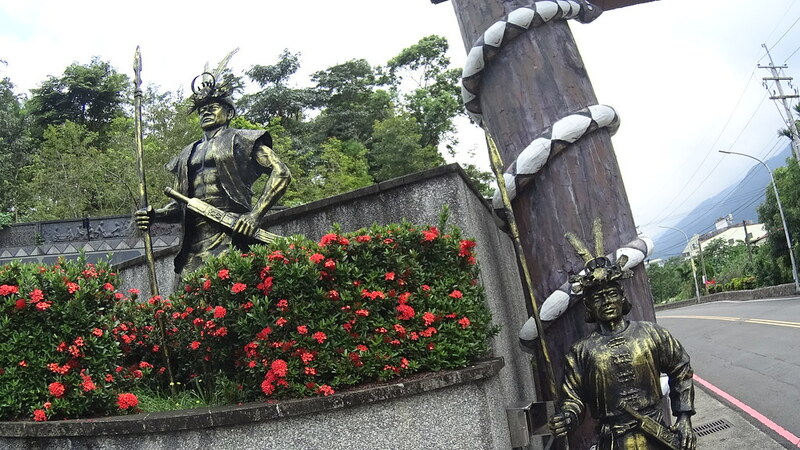 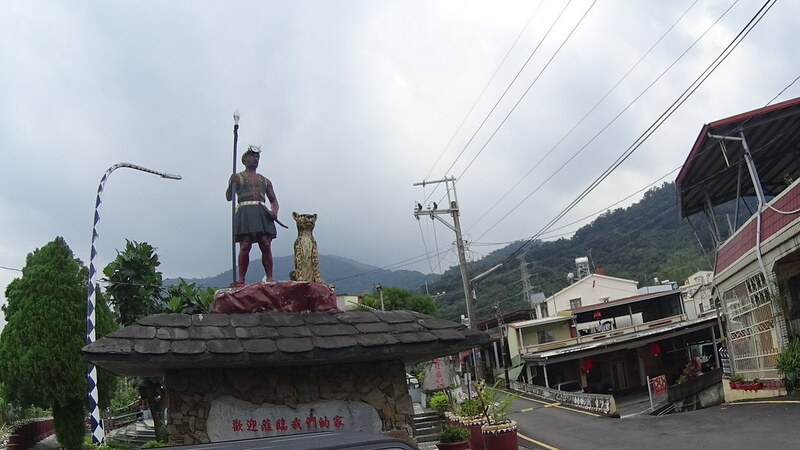 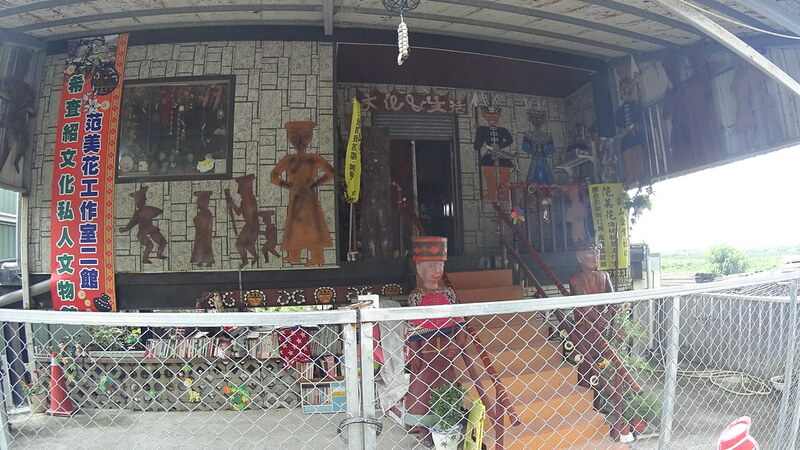 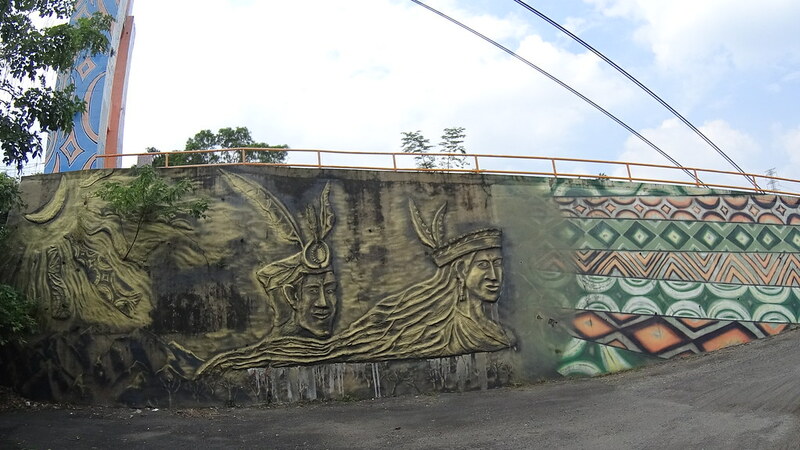 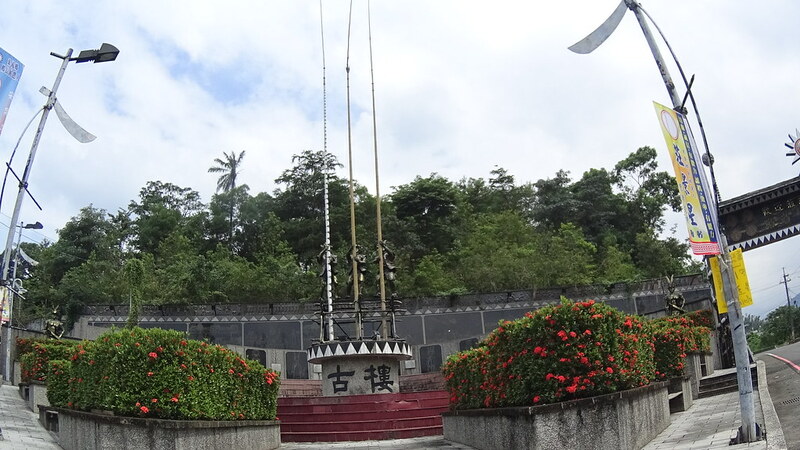 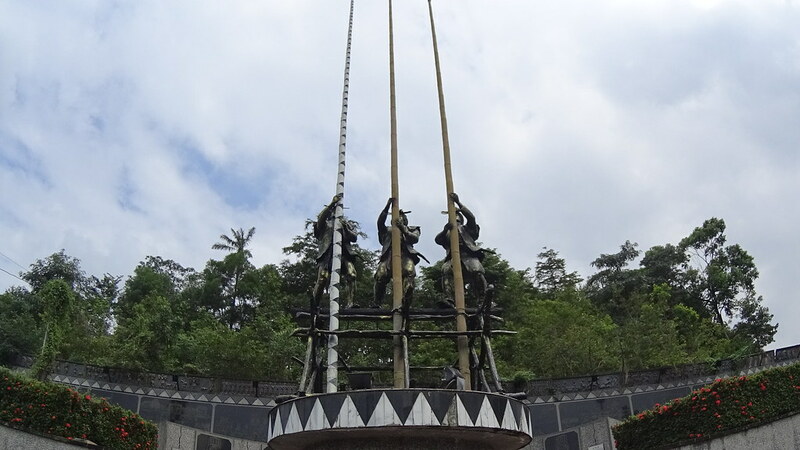 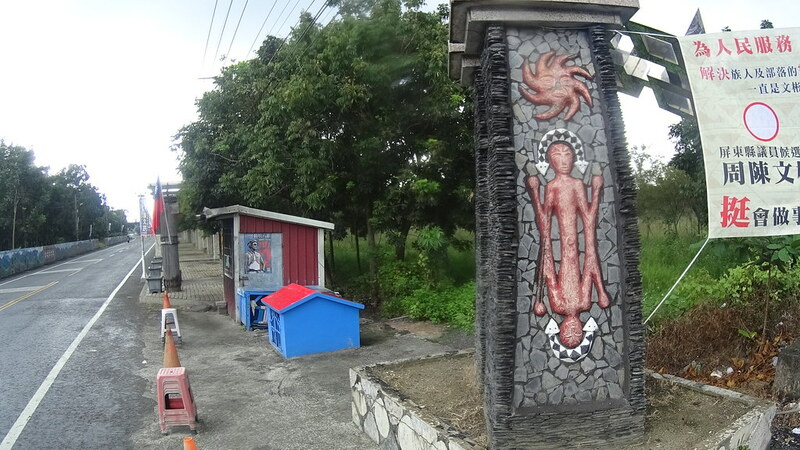 The statue depicted Paiwan’s “maljeveq” (五年祭), which participants tried to use the sharpen bamboo sticks to catch the thrown ball. 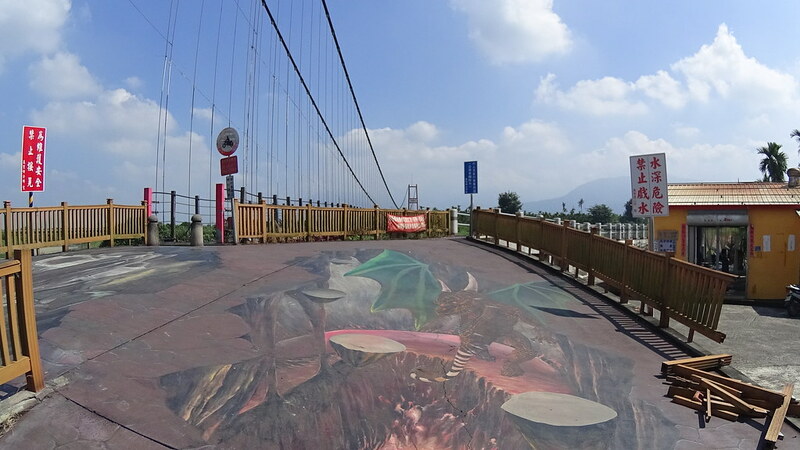 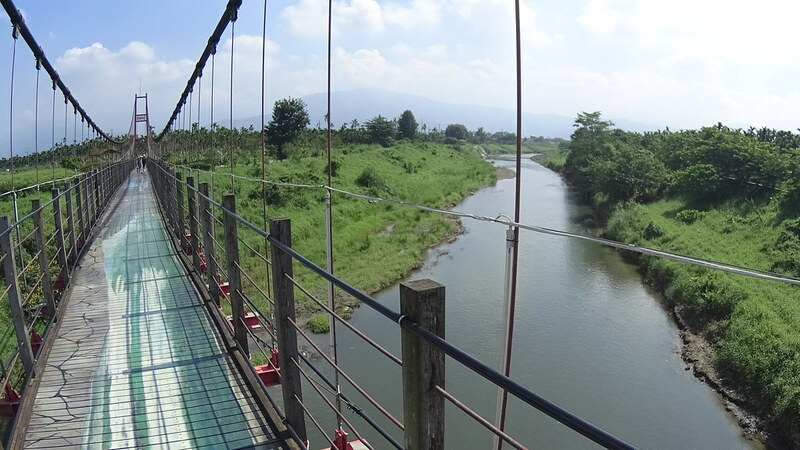 This suspension bridge looked dangerous, so I took the normal bridge instead. 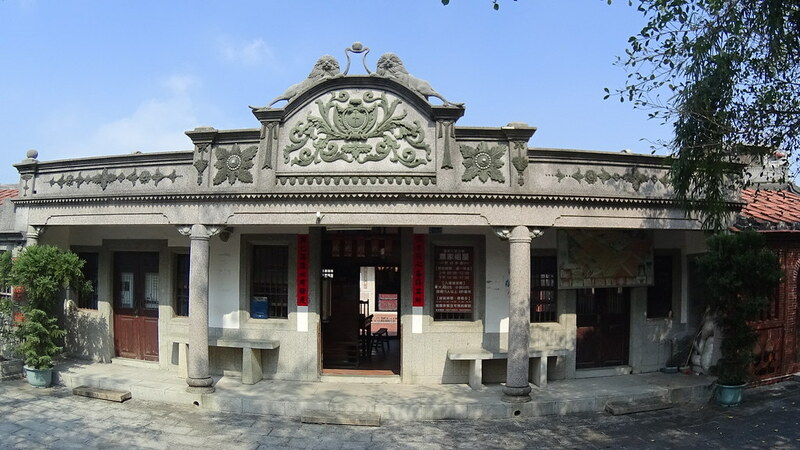 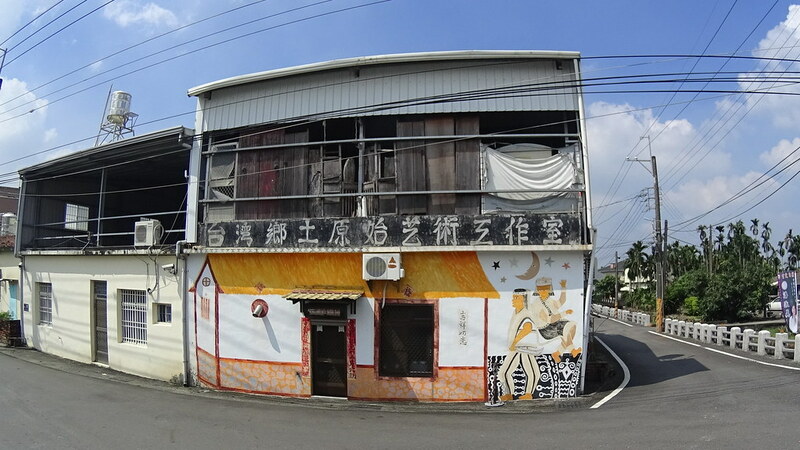 This might be village head’s house. 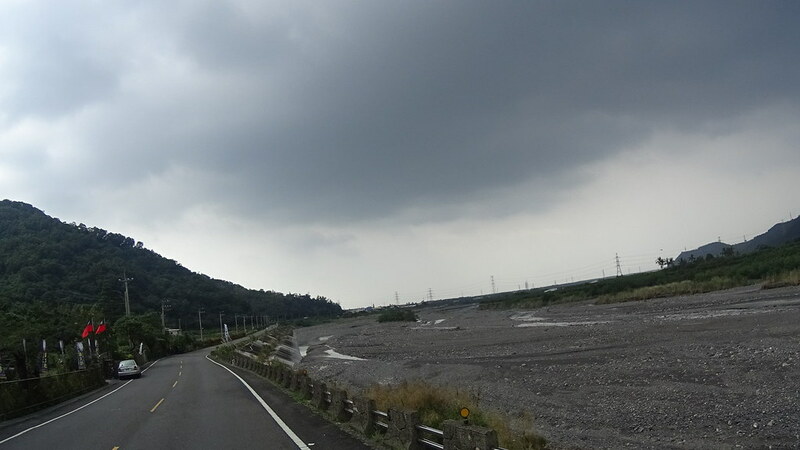 At this point it rained a little bit. 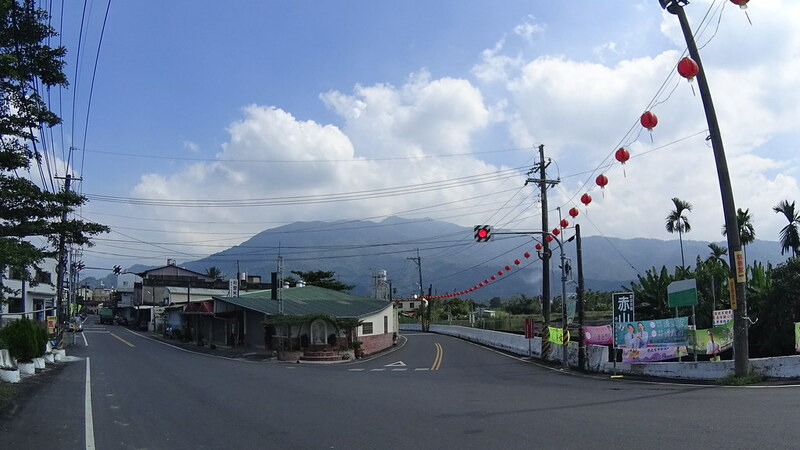 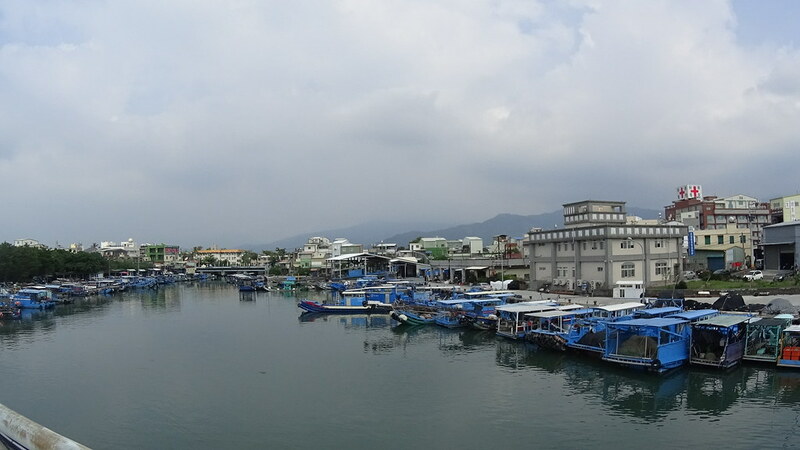 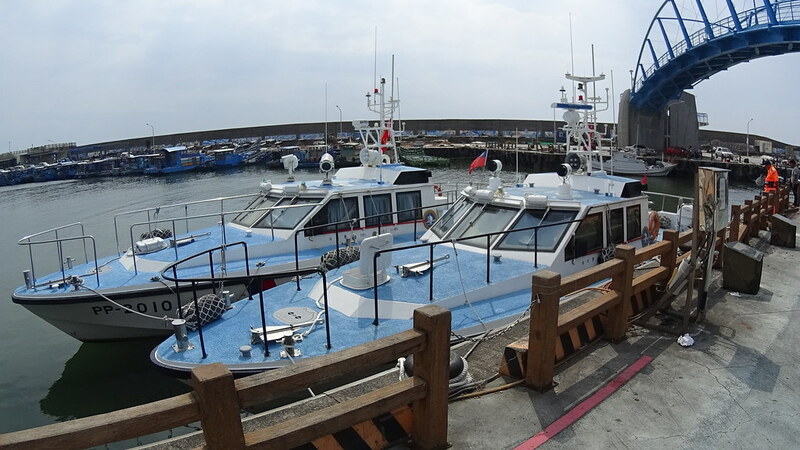 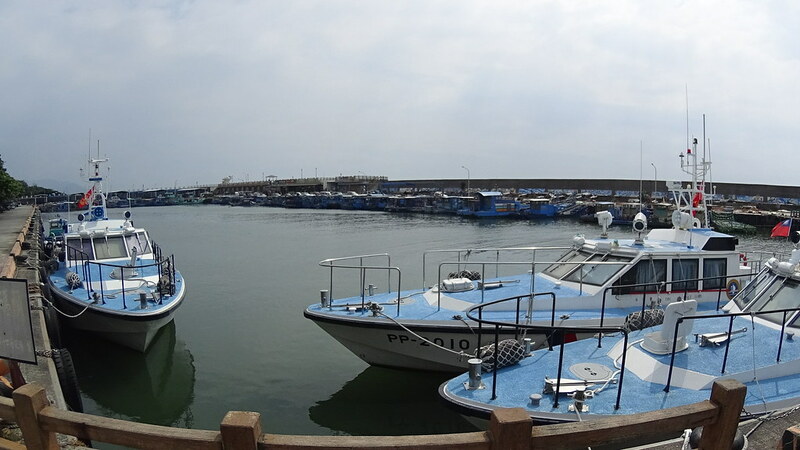 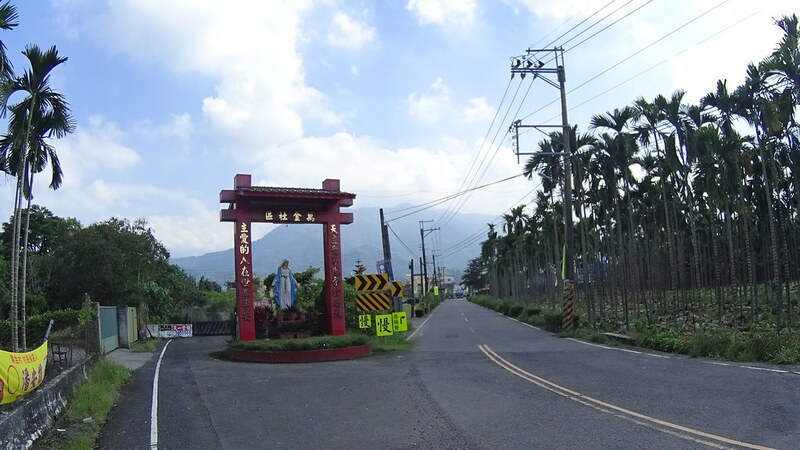 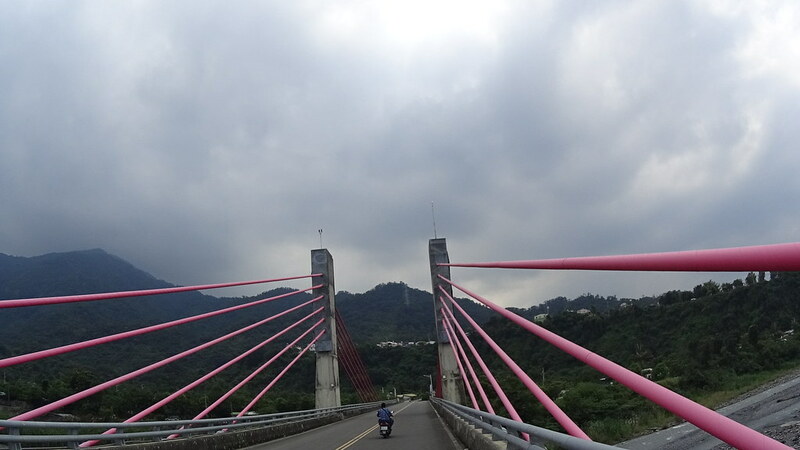 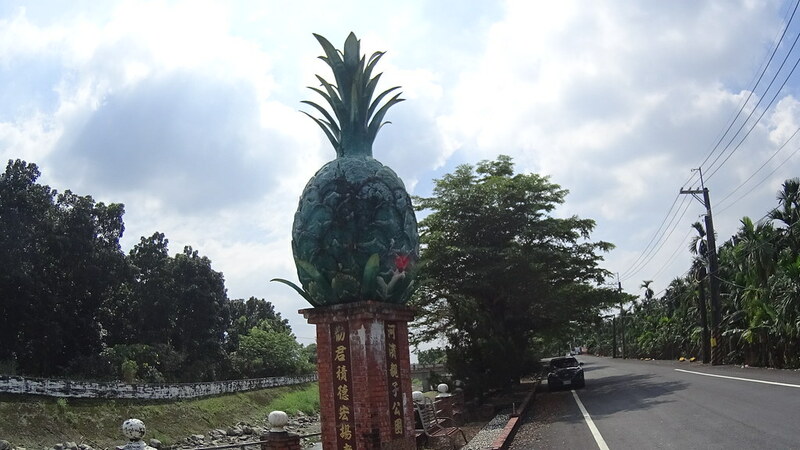 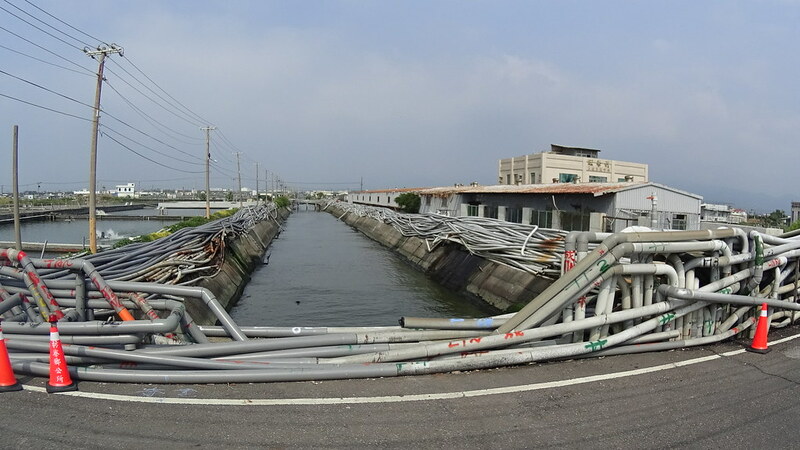 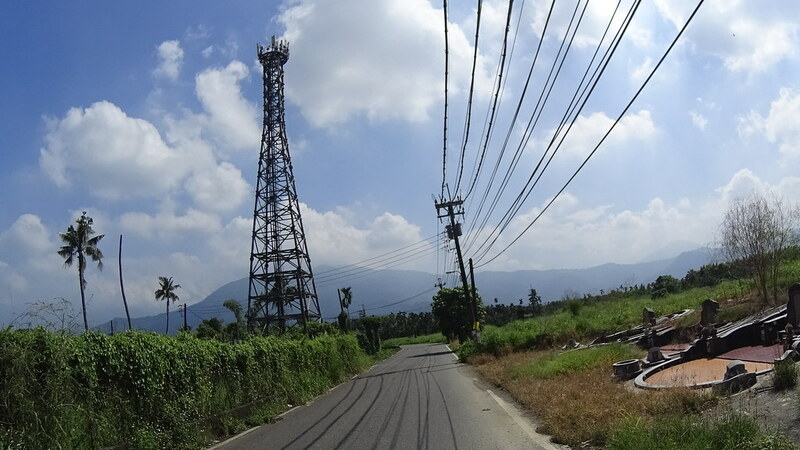 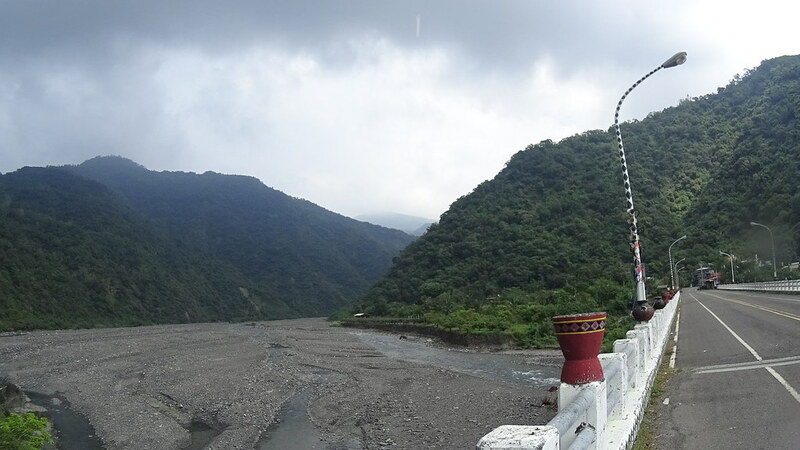 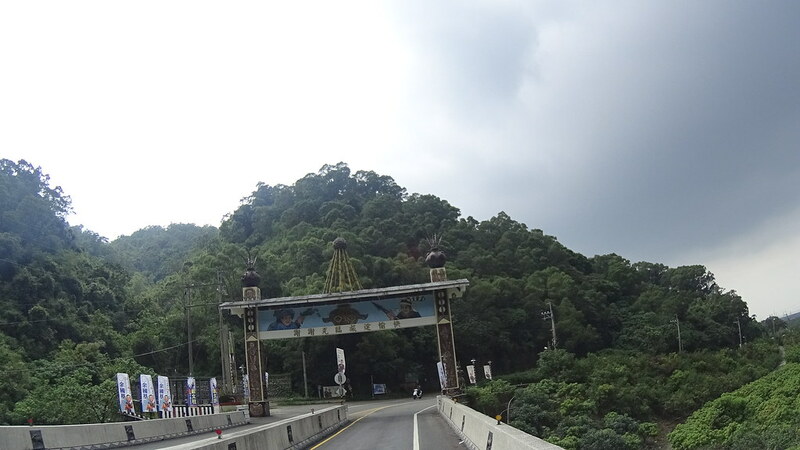 After riding along the mountains, our South PingDong Ride went back to the coastal area and headed north again, passing a few fishing towns. 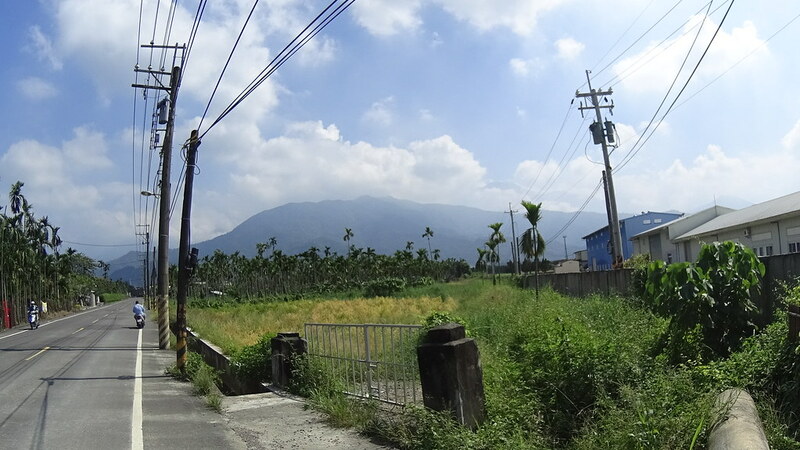 Near the coast there were lots of fish raising fields, drawing lots of underground water. 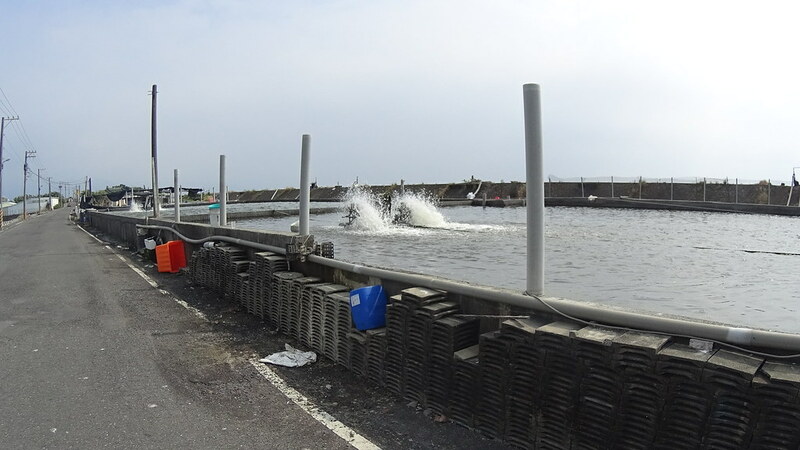 These fish raising fields were often higher than the road level.